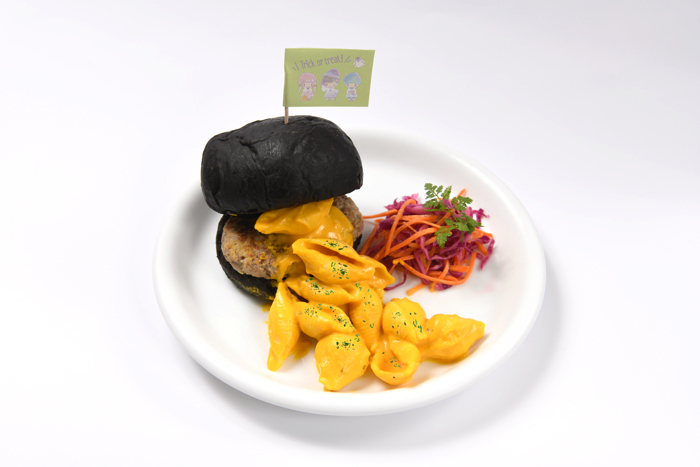 The collaboration between Japanese voice actress Shouta Aoi and the Sanrio mascots Kiki and Lala, aka the Little Twin Stars, was so popular in Omotesando that they’re teaming up once more to bring people the new Shouta Aoi×Little Twin Stars Café ~Halloween Party~ event which will begin in Yurakucho, Tokyo on September 12 and in Umeda, Osaka on September 19. 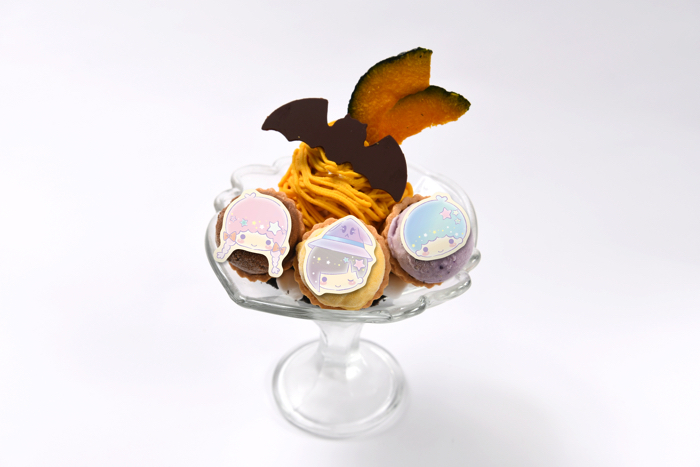 In addition to the much praised collaborative themed food from last time, there will be a new range of Halloween themed food and merchandise with cute illustrations and designs for people to enjoy a fun, not-too-scary Halloween party together. 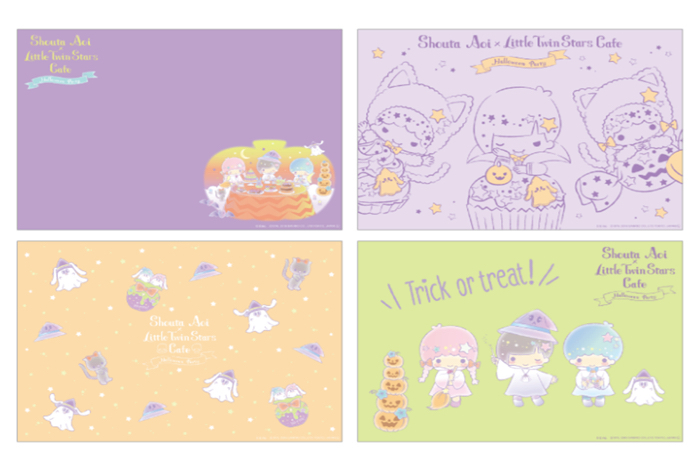 As a thanks for dining at the café, customers will receive an original lunch mat randomly selected from 4 possible designs. Those who order a drink will receive an original coaster also randomly selected from 4 possible designs. No reservations are necessary to enter the café. If you want to buy merchandise however you will have to use the café. This cute line-up of Halloween merchandise features rare designs you won’t find anywhere else. 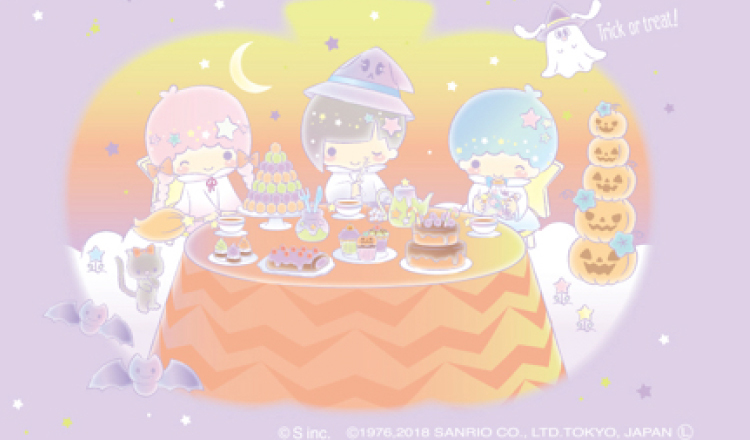 Get in the Halloween spirit at Shouta Aoi and Little Twin Stars’ Halloween party.